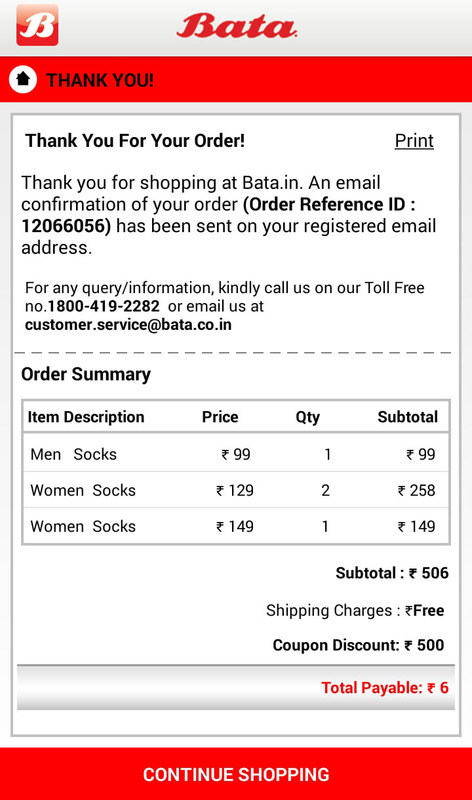 Download the Bata app and get free gift voucher of Rs. 500. 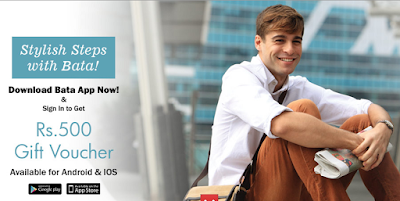 The Bata app is a footwear shopping app, buy shoes for men, women and kids. Rs. 500 gift voucher is applicable on purchase of Rs. 501 or above. The voucher can only be used on the app. 1. Install the Bata app. 2. Open the app and Sign up. 3. Rs. 500 Bata voucher will be sent to your mail. 4. 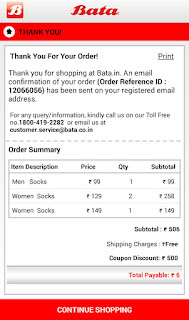 Redeem the voucher on Bata app (Make a purchase of Rs. 501 or above and get instant Rs. 500 Off). • The voucher code can be redeemed only once. • Rs. 500 Gift voucher can be used/ redeemed only by one User/Email/Mobile number through the registered email address. • The voucher is only valid on Bata android app, not valid across Bata stores and Bata site. • Validity of the voucher is till 30th June 2015.